Marvel Origins: A Sequential Compendium is the inaugural creation, featuring Pop Chart Lab’s signature infographic design aesthetic. 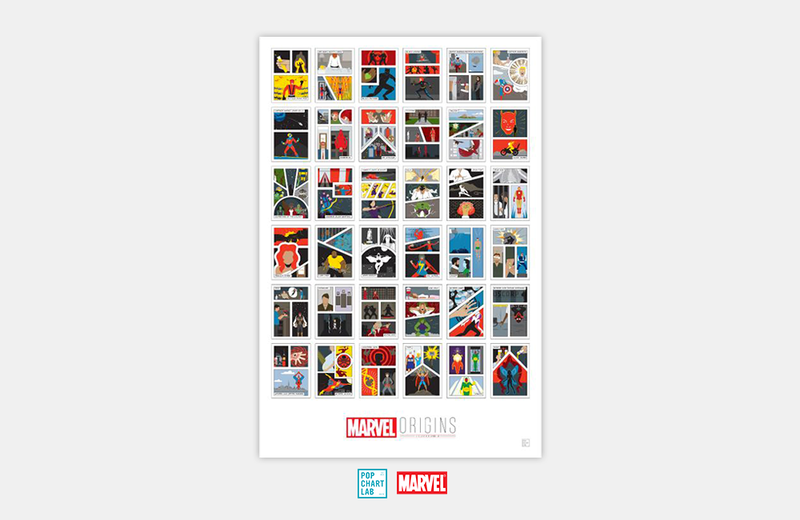 It tells the origin stories of Marvel’s major characters through 36 hand-drawn, miniature multi-comics. Black Panther, Captain America, Spider Man, Thor, and Iron Man are included. You can purchase the print on its own or choose from a variety of framing and backing options. It's a pinball machine that fits on a shelf - and provides a dose of STEM education, too! PinBox 3000 from Vermont-based Cardboard Teck Instantute is a fully customizable pinball machine made entirely of high-quality, corrugated cardboard.